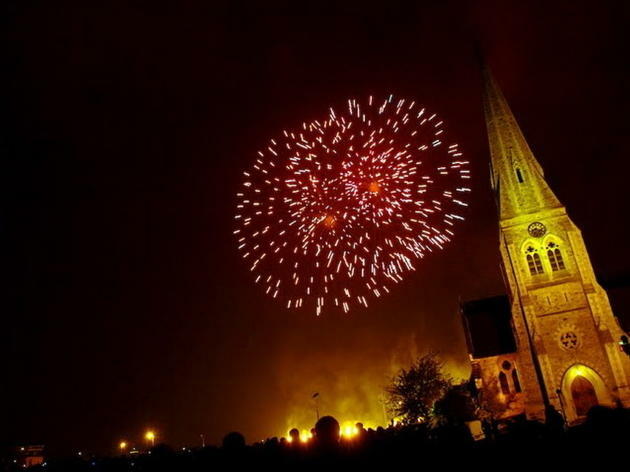 As one of the capital’s rare major displays that’s still free, Blackheath attracts crowds of up to 100,000 to its all-day Guy Fawkes bash. Colourful fairground rides take over the heath from midday, food and drink stalls open at 5pm and the fireworks kick off at 8pm. Don’t miss a wander through Blackheath Village, where the celebrations spill out into the streets. A wonderful display of fireworks (in 2017). 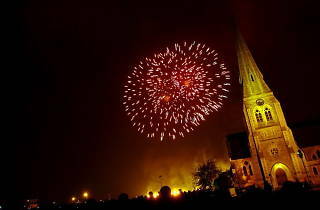 Blackheath Park makes for a great place to be on Bonfire night! They have an extensive funfair, bar and food stalls and great fireworks display, all for free. It is frequented by so many people creating a festive atmosphere, easy to see why it's such a popular spot. The impressive fireworks display lasts for only 15min, they only thing that would make it even better is if it was synced to music. I swear it was ABSOLUTELY STUNNING FIREWORK DISPLAY of the year 2013 !!! The weather was really windy and. But everybody enjoyed watching the startling firework in the sky.Thank you. One of the oldest and most spectacular firework displays in London with towering award-winning displays, a friendly swaying Ooooh-Ahhh-ing crowd, mulled wine, a fair, it's kid friendly and more importantly, there's loads of space. Overlooking the rest of London's firework displays beneath a huge wide sky, this is pretty impossible to beat.